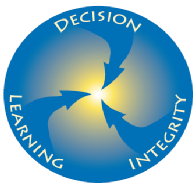 Decision Integrity (DIL) is a research and coaching enterprise working on holistic approaches that benefit sustainable systems, projects, communities, organisations and societies with special emphasis on transformative resilience. To see Anthony’s talk on Is Resilience Enough? click here. To get the slides of this talk click here. and the book Ready for Anything click here.